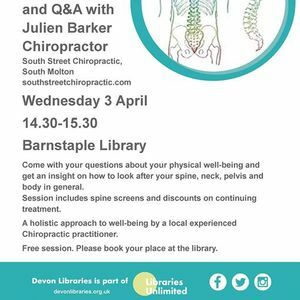 Come with your questions about your physical well-being and get an insight on how to look after your spine, neck, pelvis and body in general. Session includes spine screens and discounts on continuing treatment. 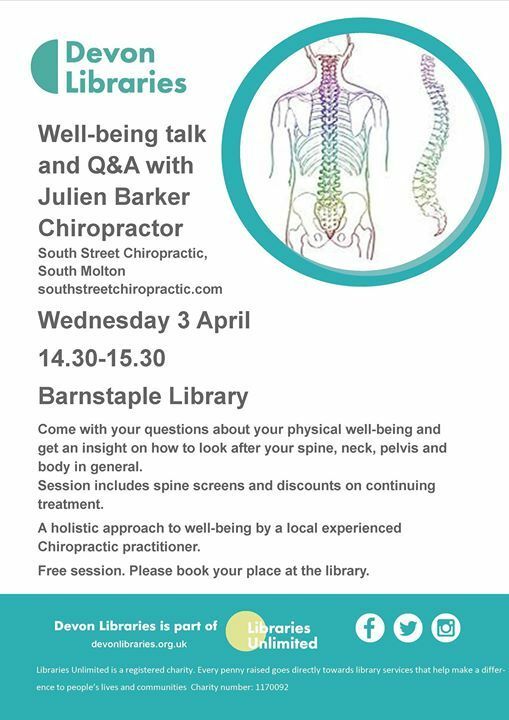 A holistic approach to well-being by a local experienced Chiropractic practitioner. Free session. 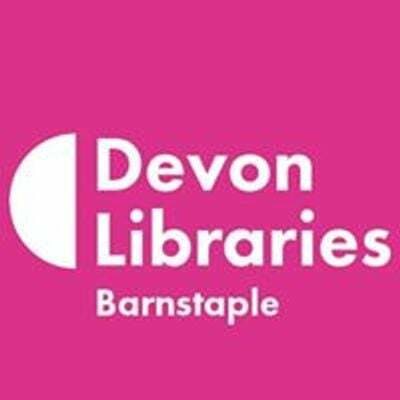 Please book your place at the library.